German offshore wind farm Arkona consists of 60 turbines installed on water depths of up to 37 meters, also, it was constructed in just 90 days. That is equivalent to a new turbine every 36 hours. Swiss-Swedish industrial conglomerate ABB's CEO is stepping down, chairman of the board Peter Voser has been appointed interim CEO. US-based GE Renewable Energy was previously slated for delivering wind turbines to three wind farms in French waters. Norway's Minister of Petroleum and Energy Kjell-Børge Freiberg rejects offshore wind farms on a larger scale in Norwegian waters. "They are too expensive and threaten fishing," he says. Three companies are joining forces to explore the potential for creating "green" hydrogen which emits less CO2 than traditional hydrogen. This could potentially save 350,000 tons annually, says one of the companies. Offshore shipping companies Eidesvik Offshore and Havila have signed new contracts with oil major Equinor. Both contracts have a duration of four months. Oil supply is decreasing, while China demands more, making prices soar for the second day in a row. Eolien Maritime France has selected Siemens Gamesa as supplier for turbines with a capacity of nearly 1 GW. Wind energy in the US may soon support itself without the help of subsidies, says Vestas' US president of sales. 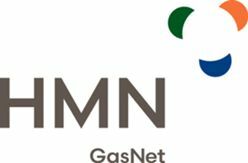 The company behind gas pipeline Nord Stream 2 has submitted a new application to the Danish Energy Agency, in which it seeks permission to lead the gas pipeline through the Baltic Sea south of Danish island Bornholm. This would be the better solution for shipping and the environment, says the agency. Power-to-gas is most cost-efficient if the technology is implemented on existing biogas plants, determine two researchers who have investigated the potential in Denmark. "Really big," is the conclusion. Project developer Athena Investments had better luck with solar projects than wind last month. Exports of oil and natural gas out of Norway decreased significantly in March. Even though the oil price has gone up, lower volumes weigh down, show the figures. Four shipping companies carrying oil from Venezuela are hit with sanctions by the US. More than 40 vessels in total are affected by sanctions, writes Reuters. Hyundai Heavy Industries, which is on its way to acquiring the other South Korean yard Daewoo, sells its oil business to Saudi Aramco for more than USD 1 billion. Prosafe is getting ready to move its headquarters from Cyprus to Norway, where the offshore company already has a Stavanger office. The move comes at a time when other companies are leaving Norway. It will take two years to remove all fuel from a cooling pool in the disabled Fukushima nuclear power plant. After that, the clean-up of two additional reactors will follow. Several Norwegian industry players, including the shipowners' association, now request major support for offshore wind and call for a clear strategy ahead of 2030. The largest Danish pension providers own stock worth more than USD 2.4 billion in the world's largest oil companies, according to survey by Danish newspaper. Authorities in Denmark is now in the process of testing the use of a drone in the efforts to locate ships exceeding sulfur limits. The drone is on loan from an EU agency. With possible full acquisition in the future, the wind turbine manufacturer buys into a developer with 25 GW on the books – half of which are solar-based. This presents new growth opportunities, the company states. The transition to renewable energy will not be more expensive than the current set-up, a new report claims. With the announcement of construction starting on its second major US wind farm in a few weeks, the German utility begins its 25th project in North America.